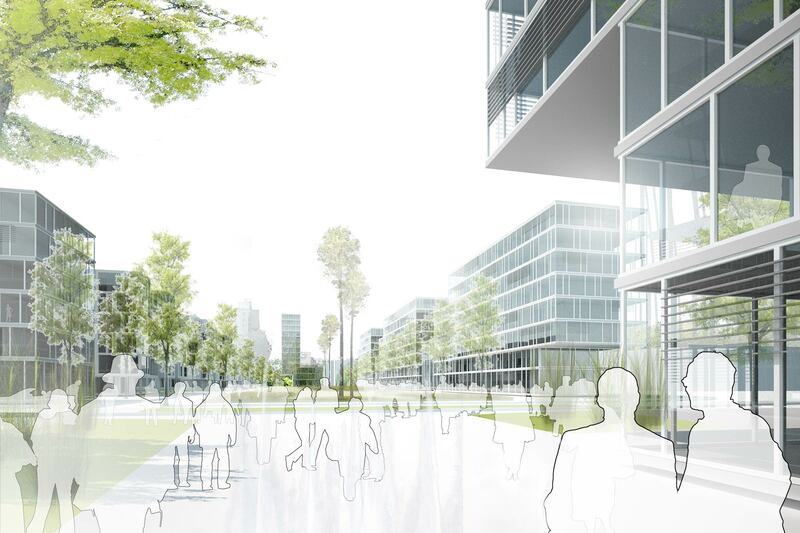 The new urban quarter “Hohenzollernpark” in Duesseldorf Germany is located in between the intersection of two distinct neighborhoods: The modern office location “Metro Campus” in the north and the trendy but gentrifying Flingern in the south. 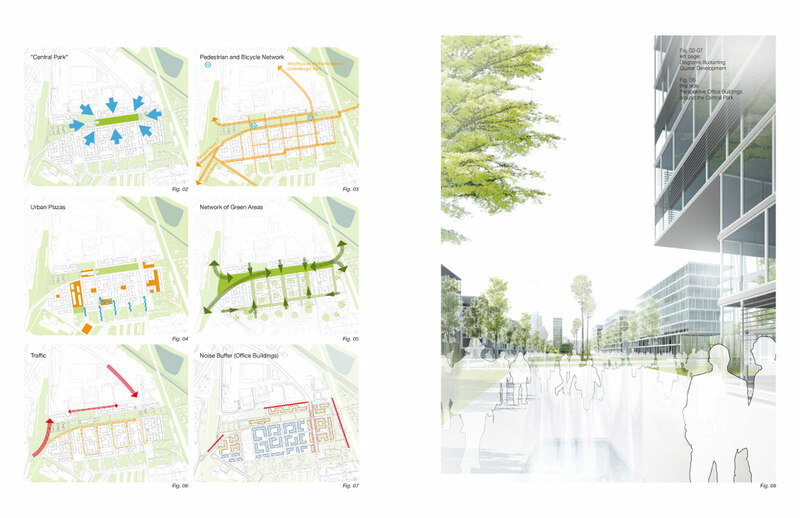 The differences in usage, typology, scale, architectural language, and population call for an approach that mediates between these disparate poles, while simultaneously advancing its own unique quality. 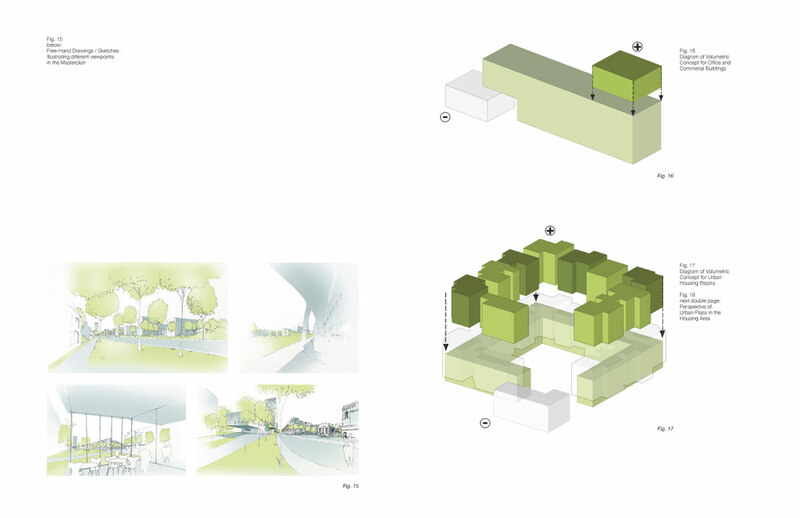 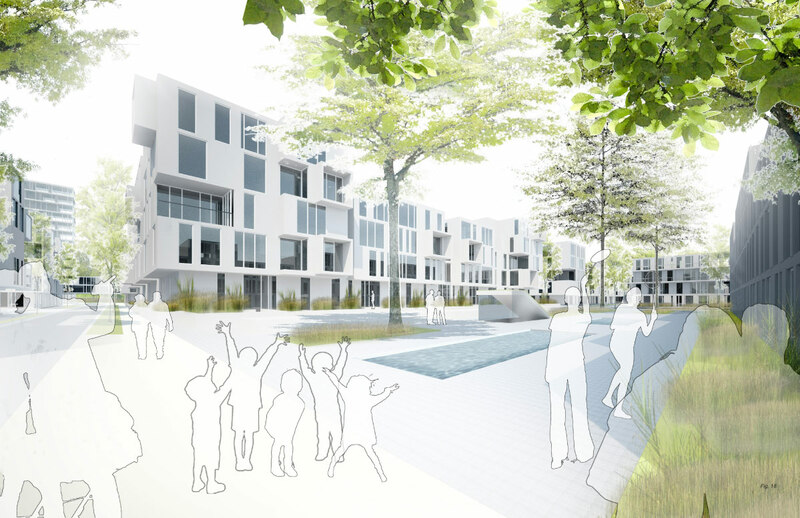 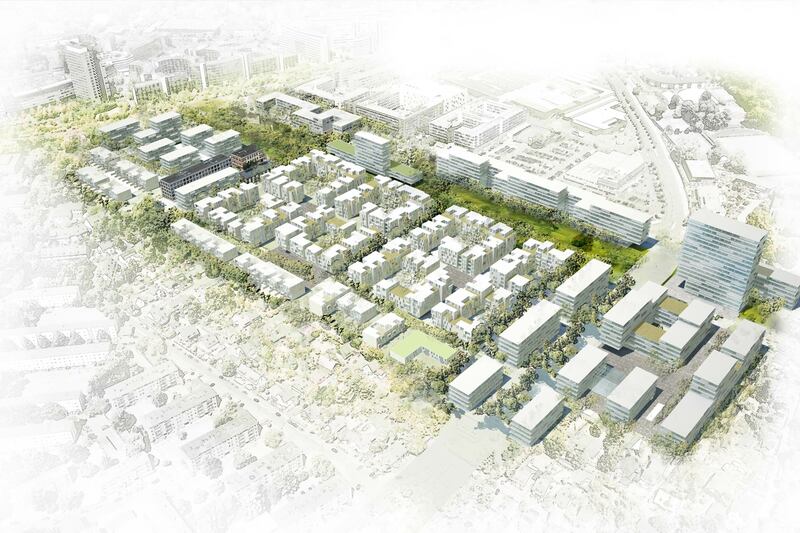 Our concept reconciles the urban fracture of adjacent neighborhoods and creates spatial and functional conjunctions. 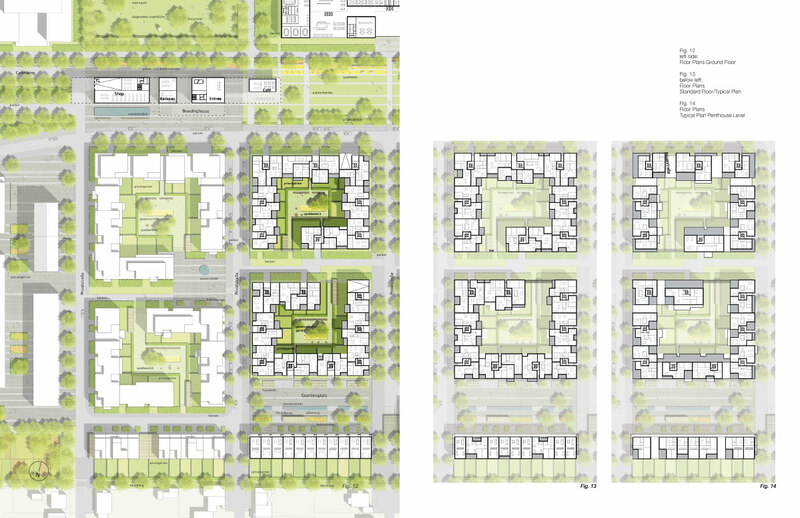 The new quarter negotiates between large-scale commercial buildings and trans-regional traffic connections on one hand and small-scale residential development with housing civic amenities and social structures on the other. 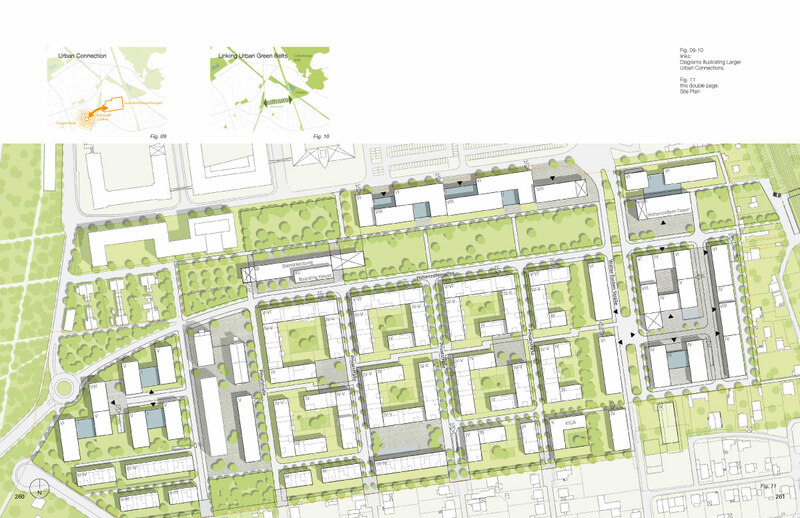 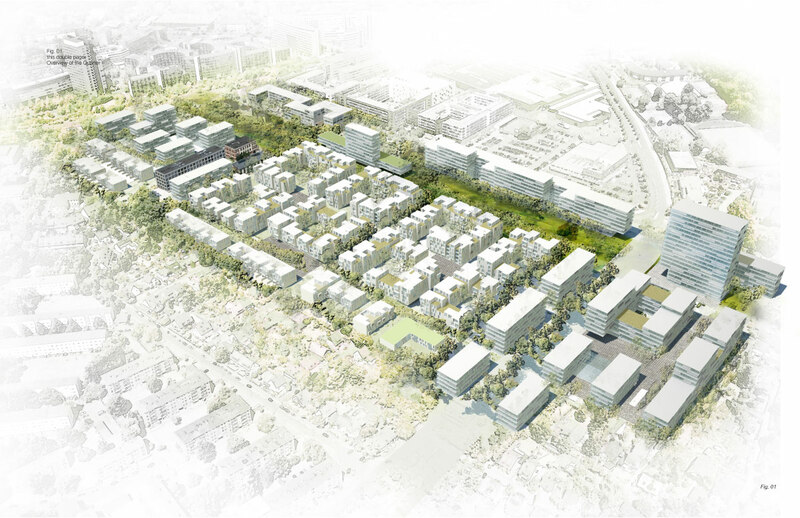 The proverbial backbone of the concept is a centrally situated green space that is accessible for all users, the new “Hohenzollernpark”, which links the adjacent urban greenways towards the east and the west.